Note: Meet Director will determine if session start times or check-in times for 11-12 and 9-10 sessions will need to be adjusted based on number of entries received for prior sessions. All individual events' qualifying times will be governed by both "No Slower Than" (NST) and "No Faster Than" (NFT) time standards. The NST time standards are "B" time standards found in USA Swimming's 2005-2008 National Age Group Motivational Times - Top 16 based. The NFT time standards are equivalent to the SCY individual event qualification time standards for the 2008 PVS 14&Under Junior Olympic Championships. Individual event NFT's apply only to SCY 2008 PVS 14&U JO qualification time standards. Entries must be submitted in SCY -- no converted times are permitted. IMPORTANT: Swimmers who attain a new age group between February 23rd and February 28th may compete as "exhibition" in any event where their time: (1) is faster than the 2008 PVS B/BB Championships "No Faster Than" standard for their current age group; AND ALSO (2) is slower than the 2008 PVS 14&Under Junior Olympic Championships "No Slower Than" standard for their new age group. 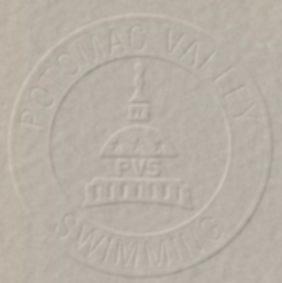 These exhibition swims will prevent swimmers from potentially being excluded from both the 2008 PVS B/BB Championships and 2008 PVS 14&Under Junior Olympic Championships meets. A contestant may participate in only his or her own age group. Inclusion Policy for Swimmers with a Disability PVS and host clubs along with their Meet Directors are committed to the Inclusion Policy as adopted by the BOD . Athletes with a disability are welcomed and are asked to provide advance notice of desired accommodations to the Meet Director and PVS Age Group Chairman (Bill Marlin at coach_bill@verizon.net). The athlete (or the athlete’s coach) is also responsible for notifying the session referee of any disability prior to the competition. All entry times and USA Swimming memberships are subject to verification via the SWIMS database. Any athlete not achieving a QT, may be asked to prove the entry time to the Meet Director prior to the start of the meet. Current USA Swimming rules shall govern the meet. Positive check-in is required for all individual 200 yards and longer. The Meet Director will determine if will be required for shorter events. Positive check-in events will be seeded on the deck. Swimmers not checked-in will be scratched from that event. Athletes who have checked in, been seeded, and fail to swim the event will be barred from their next scheduled individual event. The meet will not be scored. All individual events are timed finals. A contestant may compete in a maximum of six (6) individual events, and compete in no more than three (3) individual events per day. Medals will be awarded 1st through 8th place for individual events based on age (not age group). All certified officials wishing to volunteer to work this meet please contact the FBST Officials Chairman, Ed Dona, 703-629-9240, edona@cox.net prior to February 12. Please include your club affiliation, certifications held, and sessions you wish to work. Officials volunteering should sign in at the recording table prior to the start of Warm-ups. Certified officials who have not previously advised of their availability may volunteer their services to the Referee at this time. There is no admission charge. Meet programs will be available for purchase. Working Officials will receive a daily program free. Fees for individual events are $5.00. Entries should be submitted using Hy-Tek Team Manager via e-mail. Events for this meet can be downloaded at 39mm022208 . Include in the e-mail subject heading "2008 PVS 14&Under B/BB Championship - ****" with the club's initials substituted in place of the asterisks. Also include training site if your club submits multiple entries and number of timers being committed.